Electoral Area C is known for its spectacular beauty, characterized by numerous rivers, productive agricultural lands, and steep mountainous vistas. At about 5,600 square kilometers in size, Electoral Area C is the largest area in the regional district, and is also is the most populous. 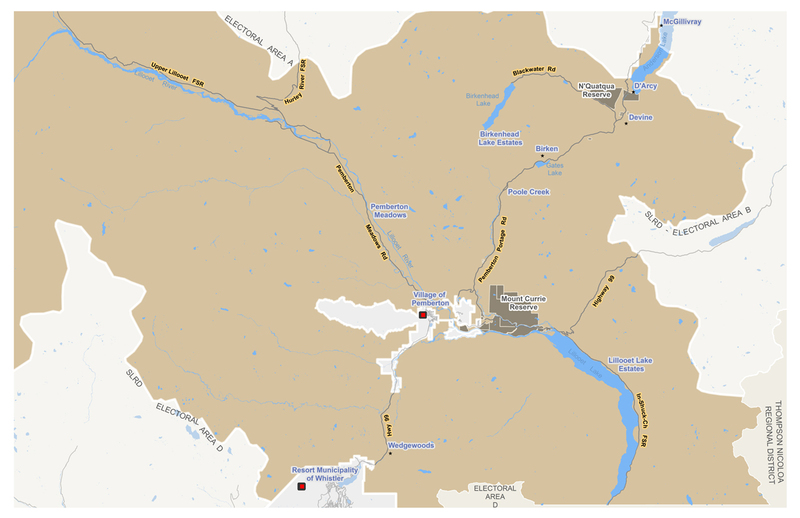 Area C is home to long-time residents with agricultural roots, young families new to the area, part-time residents, and the growing Líl’wat and N’Quatqua First Nations. Electoral Area C enjoys a diverse economy with a focus on agriculture, tourism and forestry, but also supports a number of home-based businesses. The area shares a close and mutually supportive relationship with the Village of Pemberton. Although the Pemberton Valley is known as the “Seed Potato Capital of Canada,” in recent years the agricultural industry has seen continued diversification to include cattle ranching, burgeoning small-scale organic farms, a vineyard, extensive equestrian facilities, food and accommodation providers, and other agricultural festivals and events, including the popular Slow Food Cycle Sunday. Electoral Area C lies in the centre of the Squamish-Lillooet Regional District, and is bounded to the North by Electoral Area A (Upper Bridge River Valley), to the east by Electoral Area B and the Thompson Nicola Regional District, to the south by Electoral Area D and the Fraser Valley Regional District, and to the west by Sunshine Coast, Powell River and Strathcona Regional Districts.